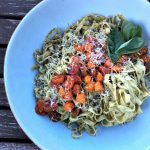 Fresh and easy summer pasta - A Life From Scratch. Summer is exhausting. Anyone with me? I wouldn’t change one thing for one tiny second but my goodness can the days be long. You’re at a park, a pool, a friends house, maybe another pool. Driving here and there and every where. The day goes on and on and on with friends and sunshine and fun yet all of a sudden it’s dinner time and you haven’t been to a grocery store in a week. Anyone feel me? That’s when you’ve just got to keep it simple. And use all that summer has to offer. 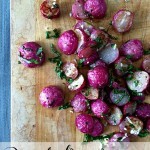 Think brightly colored cherry tomatoes roasted up with shallots, garlic, red pepper flakes for kick and olive oil. 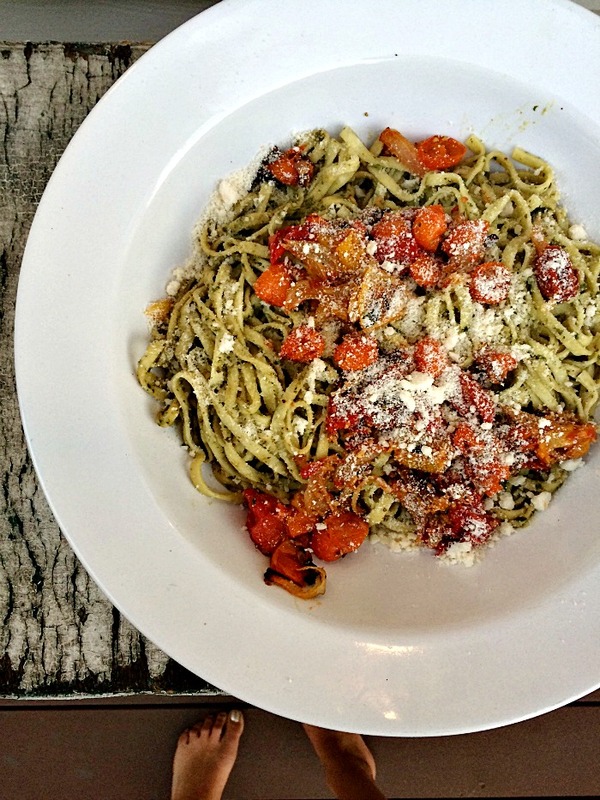 Toss it all together with some fresh pasta that cooks in minutes and a smear of basil heavy pesto and freshly grated parmesan and get yourself back on that patio. Because sometimes a big bowl of pasta just hits. the. spot. and, let’s be honest, is exactly what you need to get through the next never ending most perfect summer day. 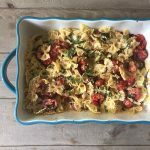 A fresh easy pasta filled with summer flavors! On a roasting sheet, mix together your tomatoes, shallots, garlic, red pepper flakes, salt, pepper, and a drizzle of olive oil. Roast until bubbly and browned, roughly 25 minutes or so. Meanwhile, cook your fresh pasta according to package directions. 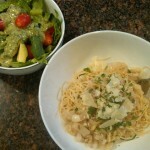 Drain, put back in the pasta bowl and throw in the tomato mixture, a few TBS of pesto, and mix together. Plop in a big pasta bowl, top with parm, and call it a night.